It was a quiet week at the Court of Appeal for Ontario. There were only four substantive civil decisions released. In two of them, the Court continued to provide guidance on the Anti-SLAPP provisions of section 137.1 of the Courts of Justice Act. 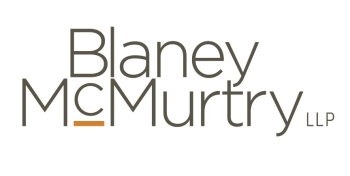 In Montour v Beacon Publishing Inc., 2019 ONCA 246, the Court affirmed that a trier of fact may consider presumed damages to reputation flowing from serious allegations, such as allegations involving considerable criminality, notwithstanding the absence of evidence of financial loss. Serious libel does not always manifest itself in financial losses and it may be difficult for a plaintiff to link reputational harm to financial loss, or to lead testimonial evidence of the actual impact of a particular defamation upon reputation. Thus, it is appropriate for a court to include presumed damages in the balancing of public interest and harm. In Levant v Day, 2019 ONCA 244, the Court applied the principles from the Anti-SLAPP sextet in the context of a series of aggressive tweets. Other topics covered this week include contractual interpretation and costs. The parties entered into a construction contract. Pursuant to the contract, the respondent was required to obtain third party liability insurance for the benefit of both parties and other subcontractors, which it did. The respondent was the first named insured and the appellant was an additional insured. An additional term of the contract was that the appellant was responsible for paying 100% of the deductibles for each third party claim against the appellant made under the policies, save for certain specific exceptions, none of which were relevant here. The appellant completed all of its work and a certificate of substantial performance of the contract was issued. There were some disputes outstanding but, after negotiations, the parties entered into a final settlement of the outstanding “contract related issues” between them. When it came time for the respondent to pay the final amount due to the appellant under the settlement, the respondent advised the appellant that it was going to withhold the amount potentially due for deductibles relating to outstanding third-party claims that would be covered by the policies. The appellant argued that no amount was owing to the respondent in respect of the deductibles, as the settlement had resolved all outstanding issues under the contract, including any liability for the deductibles. The appellant brought an application for interpretation of the settlement agreement and for judgment for the amount that the respondent had withheld. The motion judge found that the term in the release was ambiguous. However, he concluded, after considering the intentions of the parties and the surrounding factual matrix, that the proper interpretation was that it did not release the appellant from its obligation to pay the deductibles. (1) Did the application judge err in his interpretation of the settlement agreement? The Court agreed with the application judge’s conclusion, but for different reasons. The Court disagreed that the release was ambiguous. There was no dispute that the parties’ intention was to protect their rights under the insurance policies. The term in the release was not restricted just to the rights and obligations as stipulated in those insurance policies. Rather, the term expressly states that it did not affect the parties’ rights and obligations with regard to the insurance policies. That language clearly applied to all of the rights and obligations of the parties relating to the insurance policies, including the rights and obligations that they agreed upon in the contract with respect to the payment of the applicable deductibles. The Court also noted that even if the term was ambiguous, it found no error in the application judge’s analysis and conclusion. That interpretation was entitled to deference unless a palpable and overriding error could be shown, of which there is none in this case. Nor was there any extricable question of law involved that would invoke a correctness standard of review. Lastly, the Court added that did not see anything in the events that led up to the settlement that would demonstrate that it was the parties’ intention to release the appellant from its contractual obligation to pay the deductibles. The appellant pointed to an email it sent to the respondent that proposed that mutual releases be exchanged and that the insurance exemption clause be inserted. There was nothing in that email that referred to the deductibles or suggested that the purpose of the proposed changes was to release the appellant from its obligation to pay them. Further, as the application judge noted, there was nothing in the record to suggest there was any reason for the respondent to have agreed to give up its entitlement to have the appellant pay the deductibles. There was nothing in the evidence that demonstrated the respondent would gain anything in exchange for relinquishing its entitlement to be paid those amounts. In reasons released December 4, 2018, the Court of Appeal allowed the appellant’s (defendant’s) appeal in part and the respondent’s (plaintiff’s) appeal in part and requested further written submissions on certain issues. The court received those submissions and the following are the court’s reasons concerning those issues. The respondent, a minor, was involved in an altercation with the appellant, also a minor, who pushed him onto a roadway into the path of an oncoming truck. The respondent suffered a fractured skull, brain injuries and orthopaedic injuries. He became incapable of managing his own affairs and will require lifetime financial and medical support. The respondent settled with the insurer of the truck driver and with his own Statutory Accident Benefits (“SABs”) insurer. He pursued the appellant to trial for his several liability. The trial lasted seven (7) weeks. The jury granted judgment in favour of the respondent in the amount of approximately $2.3 million. However, it found each of the appellant, the truck driver and the respondent one-third responsible for the respondent’s injuries. As a result of the contributory negligence finding against the respondent, and the settlement with the truck driver, the respondent was only entitled to recover one-third of his damages. Following the trial, the trial judge was required to make certain deductions from and adjustments to the damages. This resulted in further deductions from the jury award, largely for: (a) statutory deductions under the Family Law Act; and (b) the impact of the SABs settlement. After the deductions and the addition of a “management fee”, the result was a damage award for the respondent of $500,827. The appeal to the Court of Appeal was from the trial judge’s post-trial disposition of these issues. (1) Whether it is appropriate for the appellant to pay some part of the legal costs incurred by the respondent in recovering SABs as costs of the proceeding and, if so, how much? (3) The costs in the court below, having regard to the judgment of the Court of Appeal. (4) The costs of the appeal. (1) No. The court noted that it formerly held that the tort defendant should not be required to pay the costs of the plaintiff’s pursuit of SABs as a general principle or as a matter of course. Since neither party made a serious effort to address this issue in their written submissions, the court was not persuaded that the circumstances of this case called for an award of costs under this head. (2) No. The appellant submitted that the default rate of 3.3% per annum should apply. The respondent did not dispute this. In the circumstances, the court found that there was no basis to award anything other than the default rate. (3) Neither party is entitled to costs. Prior to trial, the respondent offered to settle for the sum of $900,000. The appellant made a Rule 49 offer to settle for $500,000, plus partial indemnity costs. The respondent advanced a claim for partial indemnity costs of the entire proceeding in an amount of nearly $600,000. The appellant argued that his “near miss” offer should be taken into account in the award of the costs of trial and claimed partial indemnity costs from the date of his offer of approximately $420,000. The trial judge considered this amount reasonable. With these principles in mind, the trial judge awarded the respondent costs of $100,000 plus HST and disbursements of $98,798, a very significant reduction of the costs claimed and clearly giving significant effect to the appellant’s “near miss” offer. The outcome of the appeal is that when statutory deductions and deductions for SABs are taken into account, the respondent’s net recovery is somewhere between $340,000 and $378,000, depending on which party’s calculations are accepted. The result is that the appellant’s offer was not a “near miss”. It was more favourable than the respondent’s recovery. In determining costs, the court had regard to the general principles set out in r. 57.01. In considering proportionality, the court held that the parties engaged in a lengthy legal dispute, and a seven-week jury trial, and each incurred, at least on paper, costs of about half a million dollars to claim, and defend, a net judgment of around $400,000. On the face of it, the costs claimed by both parties are disproportionate to the result. Second, access to justice, fairness and fair compensation. The respondent suffered serious, permanent and disabling injuries. While the jury found that he bore some of the responsibility, and while he received no-fault SABs and a settlement from one of the parties, his total net compensation did not, in the court’s view, result in overcompensation. The outcome of the proceeding was clearly not what he and his lawyer expected when he offered to settle for $900,000. Third, the real issue. This appeal, which resulted in the reduction of the net judgment, was not about the jury award or the conduct of the trial. The appellant did not challenge the award. He challenged the method of deducting SABs from the jury’s award. Having regard to those factors, the court followed the approach originally taken by the trial judge in his post-trial ruling (before additional adjustments were made), namely, “notionally setting off the costs incurred by the respondent prior to the date of the appellant’s offer to settle and the costs incurred by the defendant from the date of his offer to settle forward, including preparation for trial and trial costs. The result is that neither party was entitled to costs. (4) $25.000. Having regard to the fact that the appellant was substantially the successful party on the appeal, and to the other factors identified in these reasons, the appellant was entitled to costs of the appeal fixed at $25,000, inclusive of disbursements and all applicable taxes. The respondent and appellant were from opposite ends of the “Twitterverse”. The respondent was the principal of an online media outlet, Rebel News, that comments on political and social issues, espousing right-wing or right-leaning views. The appellant was a regular participant in social media for over a decade and expressed his views almost exclusively on Twitter. The appellant posted highly critical tweets of the respondent and of Rebel News relating to their campaign to raise money for victims of the Fort McMurray forest fires (the “Tweets”). The respondent started an action for defamation against the appellant. The appellant appealed the decision of a motion judge in refusing to dismiss the action pursuant to the Anti-SLAPP provisions in 137.1 of the Courts of Justice Act, R.S.O. 1990, c. C.43. (1) Did the motion judge err in finding that the appellant’s tweets did not relate to a matter of public interest? (2) Were there grounds to believe that the appellant had no valid defence in the proceedings? (3) Did the motion judge err in finding that the public interest in allowing the proceeding to continue outweighed the public interest in protecting the appellant’s expression. (4) Should leave to appeal costs be granted? Appeal dismissed and leave to appeal costs granted. (1) Yes. The Court found that the Tweets related to a matter of public interest and that the motion judge committed an extricable error of law in failing to separate the motivation of the tweets from the subject matter of the tweets. The motion judge held that the appellant had failed to satisfy his onus of showing that the expression was related to a matter of public interest. She found that the Fort McMurray fires were matters of public interest, but found that the Tweets were, in pith and substance, direct personal attacks on the respondent. The motion judge’s decision was made before the Ontario Court of Appeal’s Anti-SLAPP sextet and in particular, the decision in 1704604 Ontario Ltd. v. Pointes Protection Association, 2018 ONCA 685. In Pointes, the Court held that the concept of “public interest” in s. 137.1(3) does not take into account the merits or manner of expression nor the motive of the author. Based on this, the Tweets, when taken as a whole and in context, were about the legitimacy of the respondent’s fundraising campaign. (2) Yes. The Court found that the respondent met the test in s. 137.1(4)(a)(ii) in demonstrating that a conclusion that the appellant had no defence to the action was amongst the range of reasonable conclusions. The motion judge characterized the Tweets as statement of fact as opposed to comment based on facts. She also noted that the statements were motivated by malice and that there were reasonable grounds to believe that no defence of fair comment was made out. She was also of the view that the notice provisions in s. 5(1) of the Libel and Slander Act, R.S.O. 1990, c. L. 12 did not apply to Twitter posts. The Court reiterated that per Pointes, s. 137.1 does not does not provide an alternate means by which the merits of a claim can be tried, and it is not a form of summary judgment intended to allow defendants to obtain a quick and favourable resolution of the merits of allegations involving expressions on matters of public interest. Rather, the motion judge must decide whether a conclusion that the defendant has no valid defence falls within “the range of conclusions reasonably available on the motion record”. The respondent met this test because he demonstrated that a conclusion that the appellant had no defence to the action is amongst the range of reasonable conclusions which might be reached by a trier of fact. A trier of fact could reasonably conclude that some of the defamatory statements made amounted to factual assertions, were made with malice, or that s.5(1) of the Libel and Slander Act did not apply to the Twitter posts. (3) No. The Court found that on balance, the respondent had established that the harm likely to be suffered, or which had been suffered, was sufficiently serious that the public interest in allowing the proceeding to continue outweighed the public interest in protecting the appellant’s expression. Here, the alleged defamatory statements accused the respondent of defrauding victims of the Fort McMurray forest fires. While the harm suffered or likely to be suffered may often be measured primarily by the monetary damages suffered or likely to be suffered, the “preservation of one’s good reputation” has inherent value beyond the monetary value of the claim. The statements attributed serious criminality to the respondent and, given that the appellant had 11,000 followers on Twitter, there was no indication they were made to a small group and quickly retracted. The Court also stated that although there is an ephemeral quality to individual tweets which may have some bearing on the damages ultimately awarded, here the appellant engaged in a sustained attack upon the respondent. Furthermore, the Tweets were imbued with hyperbole and vulgar vitriol, and were admittedly false in many respects such that there was little value in protecting their expression. (4) Yes. The motion judge awarded costs on a partial indemnity basis. The Court granted leave to appeal from the costs order because the counsel made further unsolicited submissions to the motion judge without the consent of the appellant and without invitation from the court. This was in breach of Rule 1.09 of the Rules of Civil Procedure. The appellant also argued that under s. 137.1(8) the responding party was not entitled to costs. However, the Court found that the appellant’s delay in bringing the anti-SLAPP motion after the action was set down for trial justified an award of costs despite s. 137.1(8) in favour of the respondent who was successful. The court also found that the motion judge did not err in awarding costs on a motion for fresh evidence which followed the hearing of the anti-SLAPP motion. The appellant published an article in which the overall thrust was that contraband tobacco is associated with organized crime, smuggling and terrorism. This theme was reinforced by multiple, prominent references connecting terrorism to tobacco smuggling and linking criminal activity to contraband tobacco. Beside a passage which linked crime to cigarettes manufactured in Ontario was a photograph of a brand of cigarettes manufactured by the respondent corporation. The publication went on to connect the respondent corporation to smuggled goods in Costa Rica and in Mexico. Further, it went on to connect both respondents to black market cannabis cultivation. The publication is distributed to members of Parliament and Cabinet, provincial legislatures and industry executives in the fields of national and border security, policing, infrastructure security, IT security, emergency preparedness and tax and trade policy. In this case, this particular article was also distributed to local farmers who supplied the respondent corporation with raw tobacco. The motion judge dismissed the appellant’s motion to summarily dismiss the action. The motion judge, who was without the benefit of the Court’s Anti-SLAPP sextet, concluded that the vast majority of the issues dealt with in the publication were matters of public interest, particularly the issues surrounding contraband tobacco. The motion judge also found that there was no doubt that the words complained of were published and named the respondents. He indicated that the references to the respondents smuggling contraband tobacco and being involved with organized crime were clearly defamatory. He concluded that the claim had substantial merit. The motion judge dealt with four defences raised by the appellants and concluded that none of the defences were made out on the evidence. The motion judge rejected the justification defence because the appellants pleaded only a broad generalization that the impugned statements “were true in substance and in fact as of the date of publication” and because the appellants relied on other publications which had expressed what they argued were similar views. The motion judge rejected the responsible communication defence because the appellant’s due diligence to verify the article’s allegations was non-existent. He noted that the appellant failed to verify the facts as reported. The motion judge rejected the qualified-privilege defence because such defence is not generally available to broadly distributed publications and because the appellants were under no duty to communicate the information. He rejected the fair-comment defence because such defence applies to statements of opinion, but not fact. (1) Did the motion judge fail to balance the public interest in protecting the expression in the appellants’ article about contraband tobacco against the harm suffered by the respondents? (2) Did the motion judge err in concluding that presumed damages could amount to harm suffered by the respondents, where there was no evidence of financial loss, nor any specific evidence that the respondents’ reputation was diminished on account of the appellants’ actions? (3) Did the motion judge err in concluding that the defence of justification was insufficient to bar continuation of the action? (1) No. While the motion judge found that the subject of contraband tobacco was a matter of general importance, he observed that the statements about the respondents were highly defamatory, uncorroborated allegations published with non-existent due diligence and that there was no public interest in receiving such allegations. He also found that the allegations of criminality were so serious that they would likely damage anyone’s reputation and standing in their community and that the respondents had shown credible and compelling evidence of harm because, inter alia, the publication was targeted at the respondents’ suppliers and it remained available on the Internet. (2) No, the motion judge did not err in considering presumed damages to reputation flowing from serious allegations of considerable criminality. A serious libel does not always manifest itself in financial losses. It is often difficult for a plaintiff to link reputational harm to financial loss, or to lead testimonial evidence of the actual impact of a particular defamation upon reputation. Sometimes a false statement may reasonably be supposed to have such a serious impact upon reputation that harm may be presumed and weighed in the balancing of public interest and harm. Allegations meant to be taken seriously of significant criminal activity might fall within this category. In this case, the impugned publication connected the respondents to organized crime, terrorism and tobacco smuggling. The presumed harm resulting from such serious statements may be weighed in the balance of public interest and harm even where there is no evidence of pecuniary loss, or direct evidence about damage to reputation. A trier of fact might conclude that a plaintiff suffered significant harm, even in the absence of direct evidence of pecuniary loss. In the context of the Anti-SLAPP motion, no differentiation should be made between the corporate and individual respondents. The individual respondent is so closely identified with the respondent corporation he founded, that a trier of fact could conclude that defamatory statements about the corporation tarnish him to the same degree. (3) No. In this case, the appellants’ statements linking the respondents to criminal activity were based on statements attributed to others, which were of unknown value and which did not obviously support the appellants’ conclusions. For example, the translation of the Mexican newspaper relied upon by the appellants is of unknown quality and the article could be read as suggesting that the respondent corporation was not associated with contraband at the time. There was no evidence of any domestic prosecution of the respondents from a violation of Ontarian and Canadian regulations controlling the sale of tobacco products. As such, a reasonable trier could conclude that the appellants did not have a valid defence of justification. M. Kremer and Z. Yehia, for Empire Pace (1088 Progress) Ltd.